Gifts are not the only things contributing to the headache over last-minute shopping. Sometimes, shopping to feed your family and guests can be trying too. There is nothing like a beautifully decorated cake to add to the mood of a party. Mandarin Oriental Singapore's White Forest Christmas Wreath (from $42) is a sight to behold. 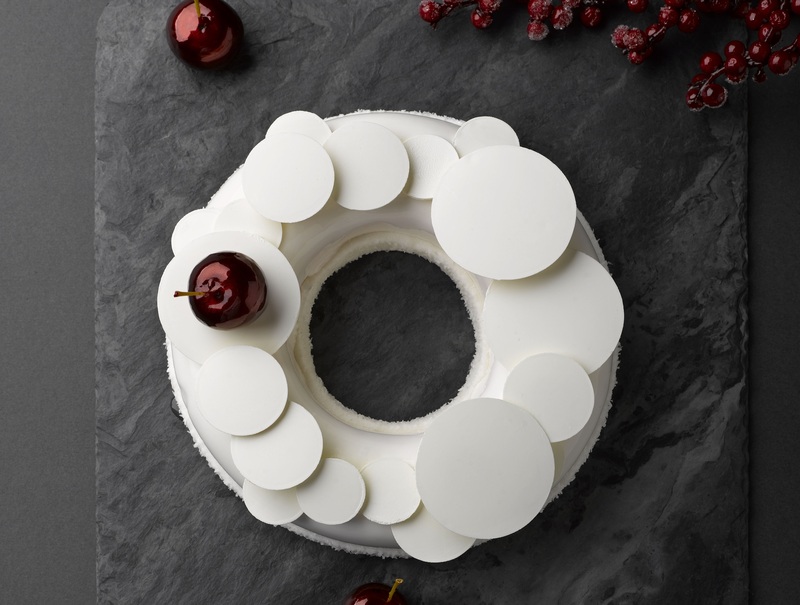 The all-white almond cake, filled with Amarena cherry coulis and caramel cremeux, is not just a talking point - it is delicious too. You will need two days for the hotel to process your order, so if you call 6885-3081 by today, you will be able to get it on Christmas Day. 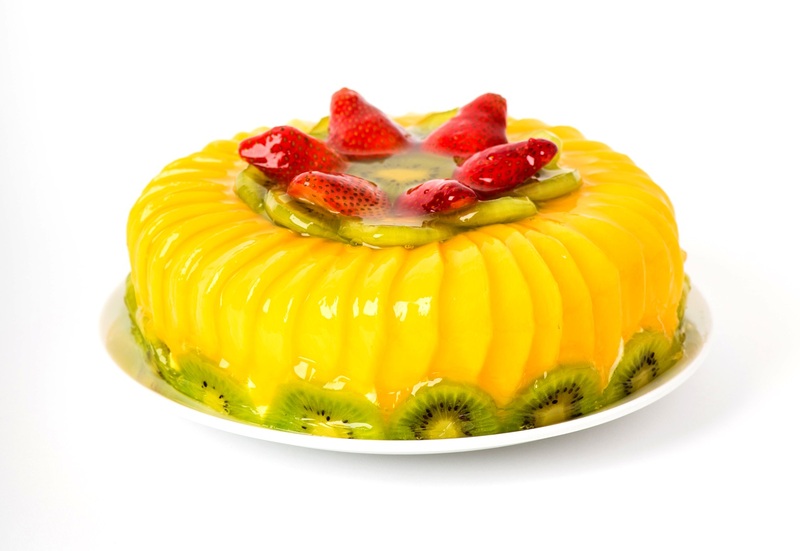 The Lesser Sugar Mango Mixed Fruit cake ($32) from Polar Puffs & Cakes is great for those cutting down on sugar. It has 70 per cent less sugar, making it a guilt-free indulgence. It is currently available at all Polar Puffs & Cakes outlets. For me, there is nothing more satisfying than waking up to hot coffee and cold stollen. The version from Kitchenette (Goldhill Plaza, Tel: 6352-7484) contains raisins, lemon peel, orange peel, red cherries and almonds. It is dipped in purified butter and coated with icing sugar after baking. 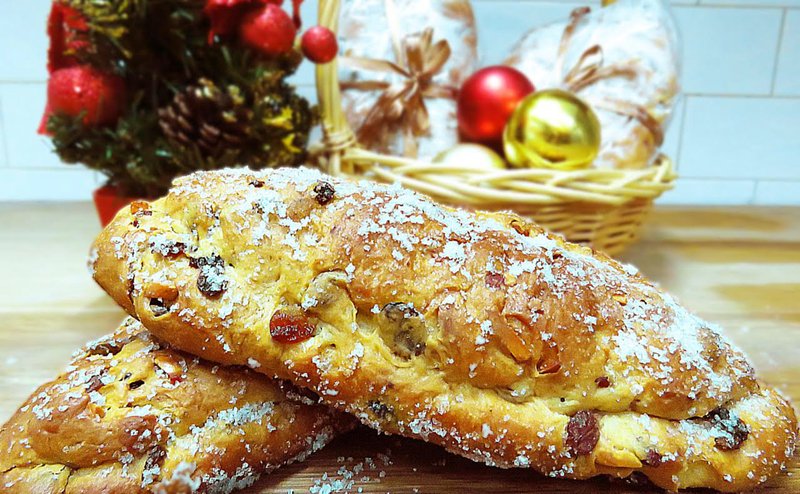 Priced at $16, the stollen is available until Sunday. Christmas meet-ups need not be on Christmas Day itself. Gather your friends from now until Dec 30 at Capella Singapore's Chef's Table (Tel: 6377-8888). From 3pm to 5pm on weekdays, you can get the Capella Festive Afternoon Tea ($39.90 per person) with festive favourites such as the Christmas Feuillete with Parmesan, and Dark Chocolate Cheesecake with Gingerbread Crust, served a la minute. 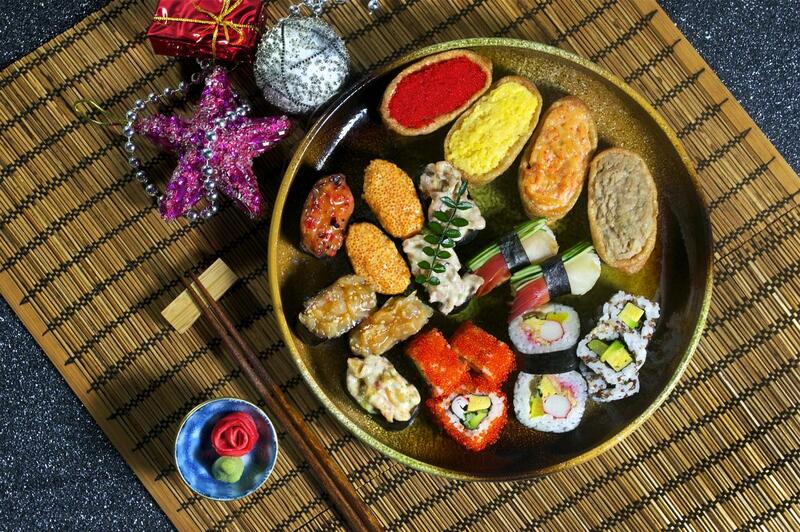 If you are having friends over, order a platter of sushi from Sakae Sushi. Platters start from $45, while the premier versions are at $80. There are various combinations of platters sold as sets, starting from $100. Until Jan 2, you get a $25 voucher when you order a combo or platter - that means your meal on another day is settled. Mod-Sin restaurant Labyrinth (Esplanade Mall, Tel: 6223-4098) - most recently a winner of the RAS Epicurean Star Award 2016's Best Asian Fine Dining title - is offering a six-course Christmas dinner ($88) until Sunday. As always, expect the unusual here. 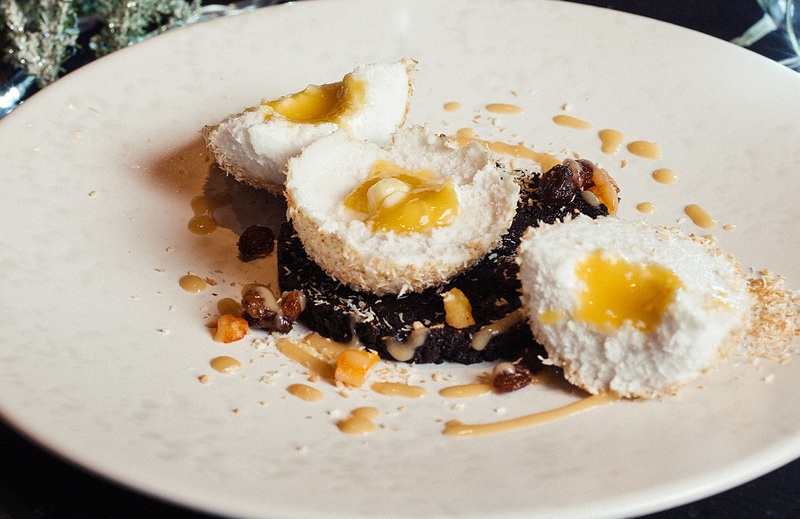 Look out for the Scotch Eggs presented as a dessert. Its coconut enclosing a mango puree yolk has various textures. My favourite way to enjoy festive feasting is to order in. You eat at your own pace and be in your most comfortable clothes. But that does not mean you should settle for mediocre food. 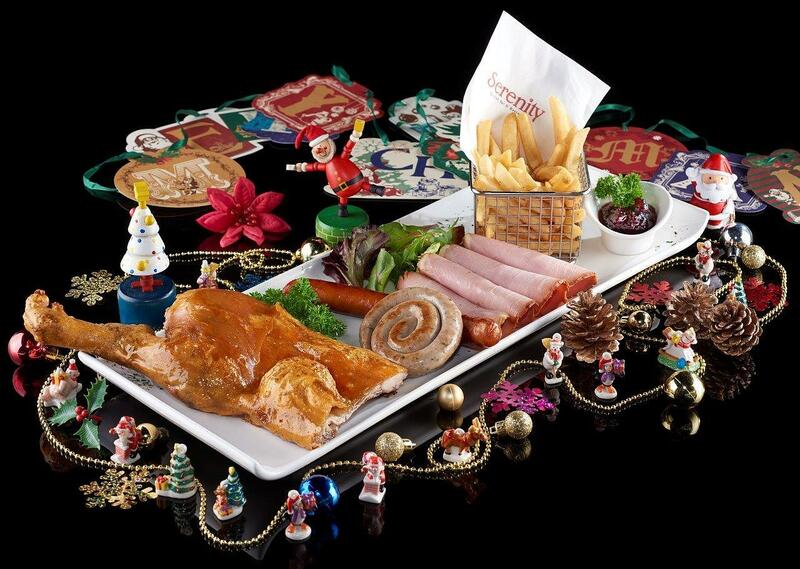 Try the Quarter Suckling Pig, Ham & Sausages Platter ($126) from Serenity Spanish Bar & Restaurant (VivoCity, Tel: 6376-8185). Its suckling pig is always good and there is enough variety on the platter to keep everyone happy. 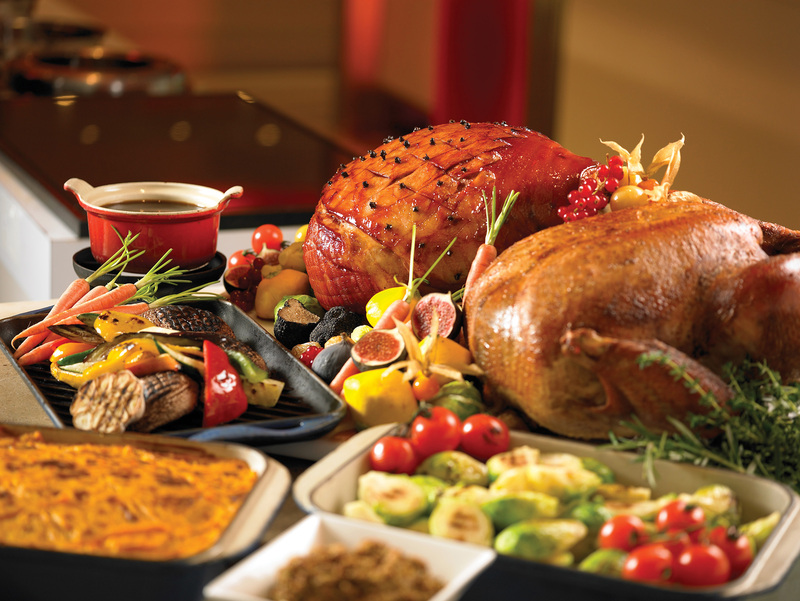 Another place to meet for a feast is The Line (Shangri-La Hotel Singapore, Tel: 6213-4377). Its buffet line has the usual lavish spread of roasts and seafood, but the star this season is the Christmas macaron tower. It is priced from $62 and will run until Dec 30.